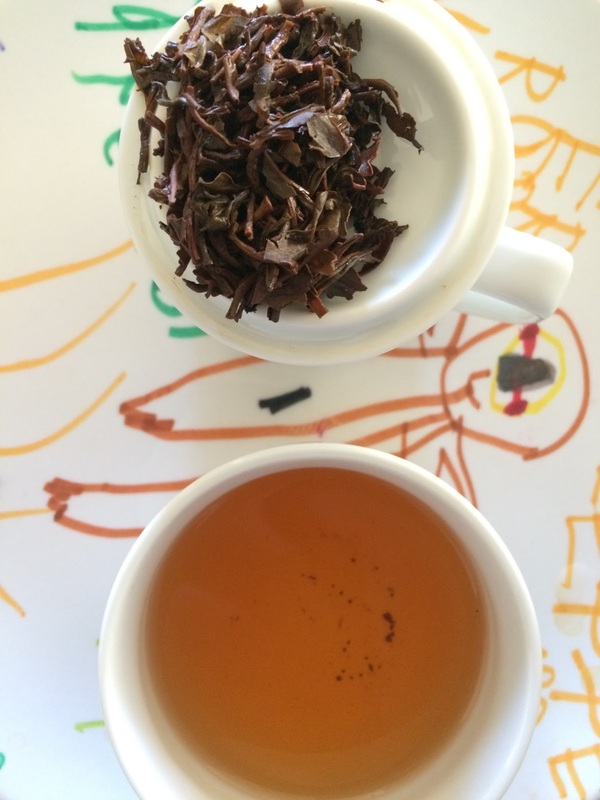 An Uva and an Assam mark the last in-class tastings for my ITEI tea course. The next time I formally prepare teas for the course will be during my blind test! 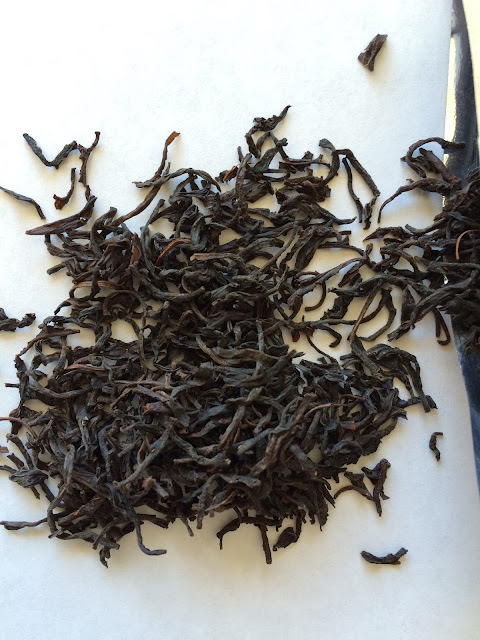 Both Uva and Assam are black teas; the former from Sri Lanka and the latter from India. Assam is made from the large leaves of Camellia sinensis var. assamica which was discovered in the region. (Puer is also made from C. s. var. assamica but from the Da Ye cultivar.) Uva is one of the three "major quality growing areas in Sri Lanka" (Gascoyne et al., 2014). Gardens in this province produce either mid-grown or high-grown tea depending on their location on the slope. In this way, Sri Lankans are like the Taiwanese in distinguishing their teas by elevation. Both the Uva and the Assam I drank were orthodox teas. The Uva was uniform in leaf size and color without any detectable fluff or stems. I did not observe any buds so I would think this tea's grade is OP for orange pekoe. The Assam leaves were broken and not of a uniform size. Buds were present but not in a high amount. I was asked to assign a grade to this tea and I offered BFOP for broken flowery orange pekoe. I dominant smell, taste, and aroma of the Assam was sweet. The dry leaf smelled malty and sweet. The specific forms of sweetness one should detect in an Assam are honey, spicy, and blond tobacco. In the liquor I detected a spicy/vanilla tail note and the infused leaves smelled like chocolate in addition to malt. But I did not discern blond tobacco. 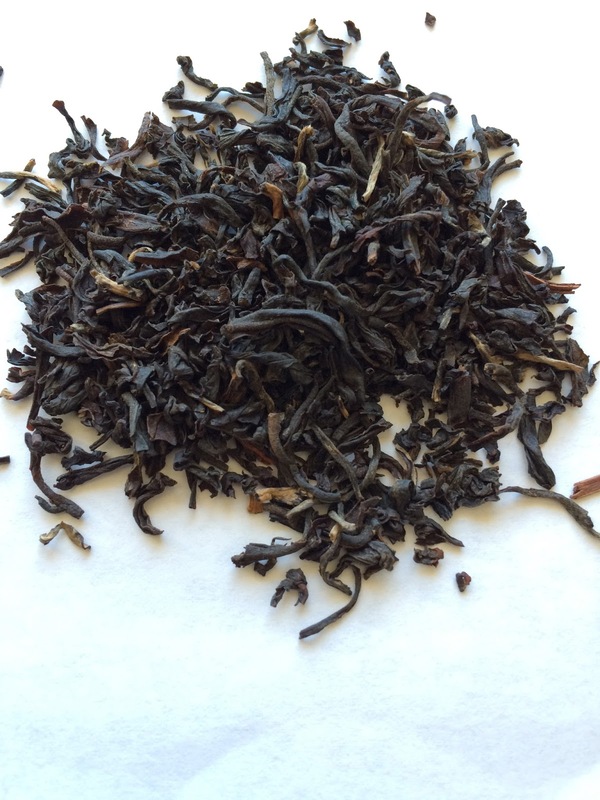 The Assam was a fairly complex tea. The liquor look full bodied and that was reflected in the taste. The liquor was malty, brisk, acidic (not like a lemon), fruity sweet, woody, and the aforementioned vanilla spicy. I infused 2 grams in boiling water for 3 minutes using a professional tasting cup. I used the same steeping parameter for this Uva. 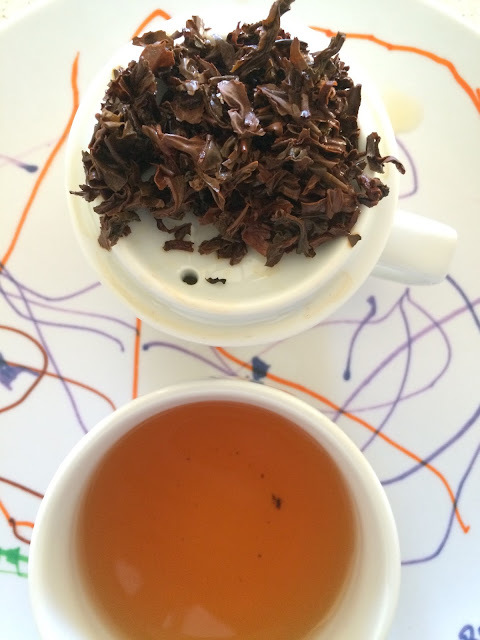 This tea was more elegant in appearance than the Assam and the liquor looked like it would taste flavorful. The liquor was not as sweet as it looked or smelled. The fragrance of the dry leaves was fruity sweet as well as smelling quite similar to a horse barn which is not the same as other types of barns. The liquor was not full-bodied and the flavors dissipated quickly. The dominant flavor of this tea was herbaceous. I detected a spicy tail note, though, once the liquor cooled. This is not a black tea for milk. I would recommend milk and sugar for the Assam but it's quite fine served plain. Do you drink you black tea with milk? P.S. I was asked to describe my experience with the Uva today and I described it this way: the dry and infused leaves and the liquor look like a black tea. However, if I had tasted this tea sight unseen I would have guessed it was a green tea because of the herbaceous quality. What kind of green tea? I don't know yet. I'll have to drink more of this tea. I cupped those a couple weeks ago and had a similar experience. I got a minty/woody note from the Uva dry leaves but it was much less flavorful in the cup. Very subtle, which was surprising to me for a Ceylon black tea. The Assam was sweet with honey and tobacco to me (I have no idea what blonde tobacco is, or what it would smell/taste like. i just know 'tobacco' from when my dad used to smoke a pipe). I would like to create a catalogue of tea fragrances. I've detected tobacco in sheng where it seems really obvious but I did not get it in the Assam. Also there are many flowers that I am unfamiliar so sniffing jars would be really helpful.